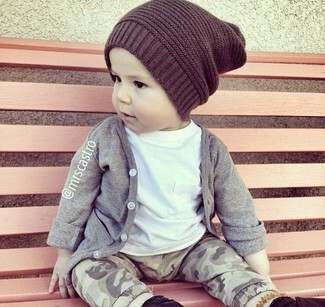 Go for a mustard cardigan and grey sweatpants for your son for a laid-back yet fashion-forward outfit. This getup is complemented well with grey sneakers. 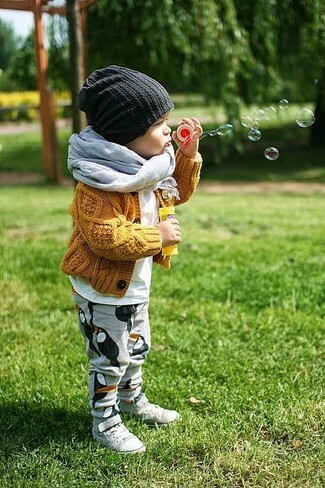 Suggest that your little guy reach for a blue denim long sleeve shirt and Tucker + Tate fleece sweatpants from Nordstrom for a trendy and easy going look. 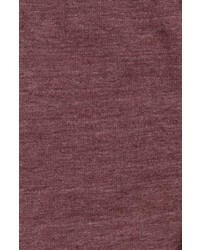 Finish off this style with brown boots. 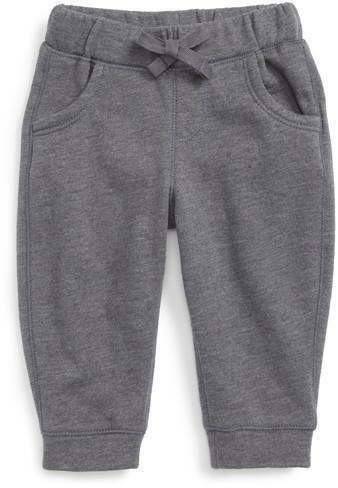 Your kid will look extra cute in a grey sweater and Tucker + Tate fleece sweatpants. 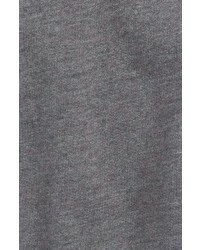 A pair of grey boots will seamlessly integrate within a variety of outfits. 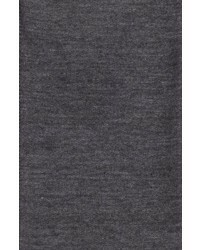 Reach for a grey cardigan and Tucker + Tate fleece sweatpants from Nordstrom for your child for a comfy outfit. 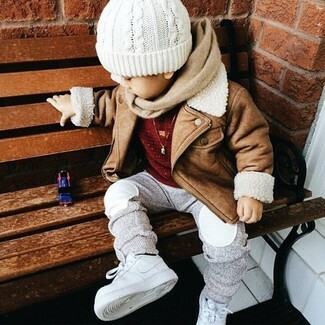 A tan jacket and grey sweatpants are a great outfit for your munchkin to go out exploring. 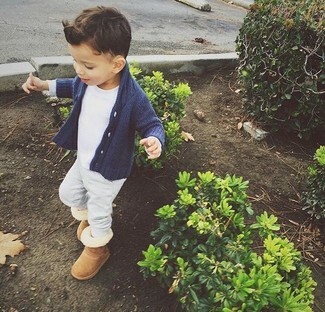 As far as footwear is concerned, let your little guy go for a pair of white sneakers. 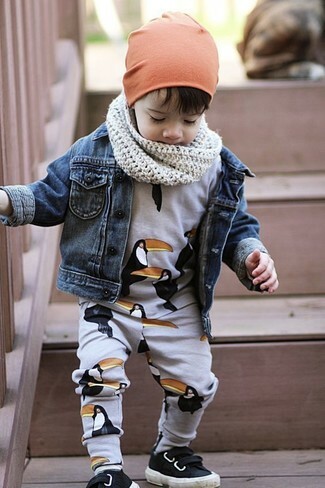 Suggest that your child wear a navy cardigan with grey sweatpants for a comfy outfit. Tan uggs are a savvy choice to finish off this getup. 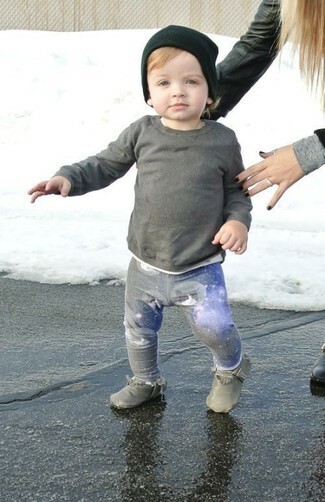 Suggest that your little angel go for a white t-shirt and Tucker + Tate fleece sweatpants for a fun day in the park. Beige sneakers are a wonderful choice to complement this outfit. 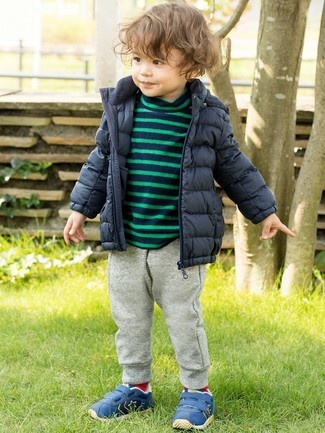 Suggest that your little man dress in a navy puffer jacket and Tucker + Tate fleece sweatpants from Nordstrom for a laid-back yet fashion-forward outfit. For footwear throw in a pair of blue sneakers. 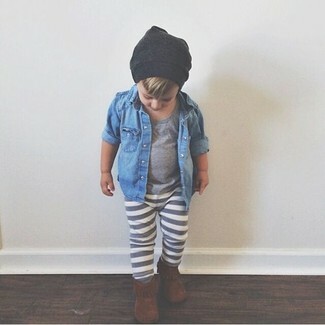 Suggest that your child wear a blue denim jacket with Tucker + Tate fleece sweatpants for a fun day in the park. 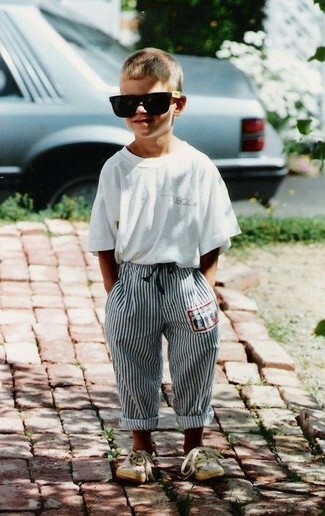 This outfit is complemented perfectly with black sneakers.